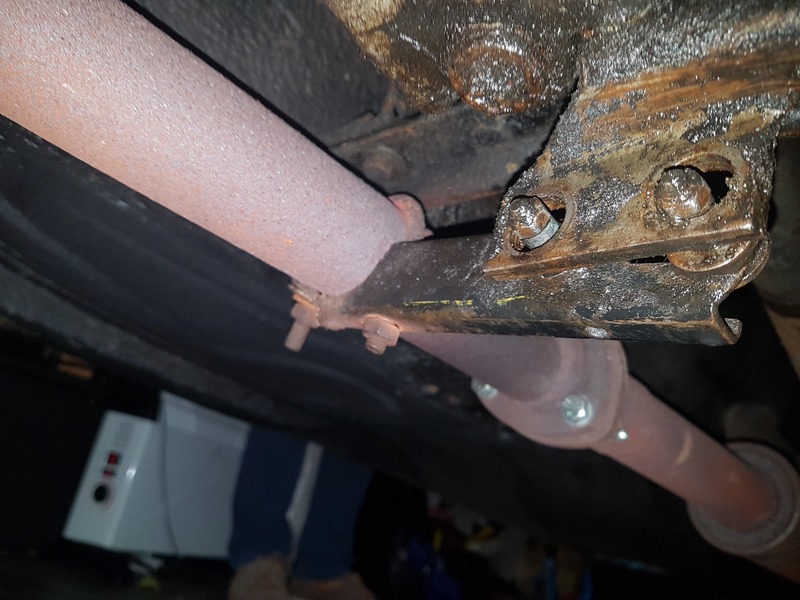 Our exhaust bracket has recently come loose (pic attached). All the parts are intact, but the holes that the bolts pass through were filled with some kind of brittle orange wax, I assume to deal with the vibrations. I went to look at the original BMW parts but they appear to be some sort of bushing, and they're expensive. Can I just use large bolts and bolt the thing on, or is there an alternative which allows the vibrations to be dampened? Is that even required? Thanks in advance! Looks like it is put together wrong. The bushing/washer go on the trans bracket. If you need new ones, we have the bushing/washer. Not expensive. Call us Monday. Needs to be dampened by mounts, otherwise, the down pipe or 3 bolts flange connection can crack causing leaks. Also the new mounts won’t last very long with the oil leaking over them. FWIW.. Thanks for the responses! I was not aware W&N carried these. Also, thanks for the advice Jireland2002! But as we are located in Europe, W&N is the easier option for us. Will update once I've got them in.